Life-work is a musical project founded by Dutch songwriter Han Epskamp, the name coming from songwriting being his life's work and also stating that the topics of the songs deal with life in general. When producer Tim Ellis asked him late 2009 if he could use some help on the production of his songs it resulted in the first recording, the ballad 'Wonder where you are' with soprano Karen Orchin. Han liked her voice so much that she recorded a second song: 'My heart', which was remixed by Pete Hammond and got to number 4 in the Euro-HiNRG Top 50 club chart in October 2010. Afterwards 'Wonder where you are' was also remixed by Pete Hammond in a dance version and got to number 2 in theEuro-HiNRG Top 50 club chart in February 2011. 'You won't see my tears' then was especially written for Karen's voice. Han wrote already in primary school at the age of 10 and kept on writing till now, but only on a more professional level for the last 12 years. He got known in Holland through a contest for young composers who had to make a melody on an existing poem. He got through to the finals in 2002. In 2003 his song 'Holiday' by the group LIGHT got 3rd in a Songcontest of the Dutch TV-show 'Man bijt Hond'. In 2004 he reunited the group Mai Tai for singing his song 'Bring back the music' which was selected for the Dutch preselection of the Eurovision Songcontest. The song didn't win but got released on CD in a mix by Pumpin'Dolls. Mai Tai recorded a second song in 2005 called 'Don't forget to live', mixed by Almighty Productions. In that year also the album 'Don't move' was released by countrystar and friend SHANNAH. For this album Han wrote the ballad 'At my place'. His song 'Out of Sight', an uptempo dance song, became winner in the Song of the Year competition June 2009 in the dance section. for the first recording (Wonder where you are) and Mark's first choice was Karen Orchin. She was available and Han liked her voice so much she recorded a second song 'My heart' which was released first. 'You won't see my tears'was written then with Karen's voice in mind. 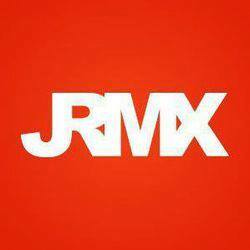 JRMX (Joel Storry) did the remixes for 'Lost in Time'. Coming from N Ireland and a family of singers, Karen made her debut aged 2 at Butlins when her performance of Zippidy Do Dah set her on a track that has taken her through singing in pubs and clubs, numerous musical theatre roles and into the world of opera. So far Karen has been lead vocalist on all Life-work songs. Garage artist Aaron Soul - he's a new signing to US label Def Soul. It's early days, but Jon's sure he's going to pretty big in the US/UK. Jon has also been working on several tracks with the new R & B artist Shaun Escoffrey, including the single "Space Rider ". 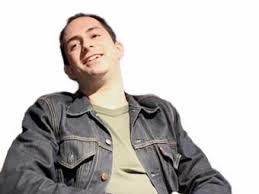 Being at home working on both pop and leftfield projects, his credit list includes: Culture Club, Boy George, High Lamas, Beverly Knight, Omar & Angie Stone, S Club 7, Darryl Hall & Kylie Minogue.